Watern Tor – Grid ref: SX 629868 Height: 526m a.s.l. 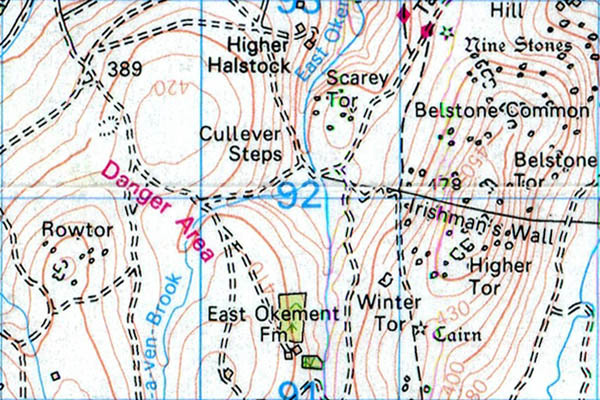 Watern Tor is indistimct on the OS 1:25k map otheer than the tight spur-like bend in the 520m contour line and the 526m spot height at the same location. West Mill Tor – Grid ref: SX 587909 – Height 541m a.s.l. 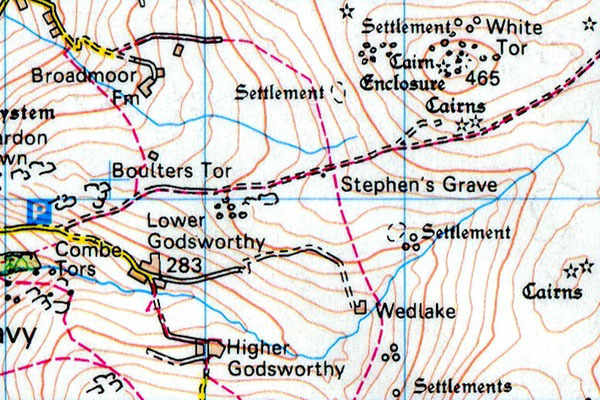 West Mill Tor sits high on a spur and can be approached from the north via ministry of defence tracks. It is overshadowed from the West by Yes Tor and High Willhays. White Tor – Grid ref: SX 542786 Height: 468m a.s.l. 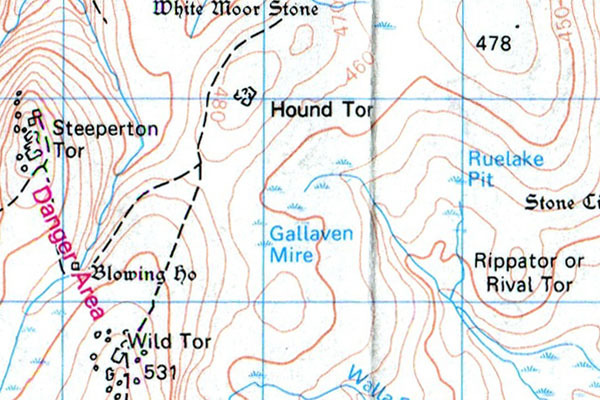 White Tor is the centre of a complex historical region of the west moor near Peter Tavy. 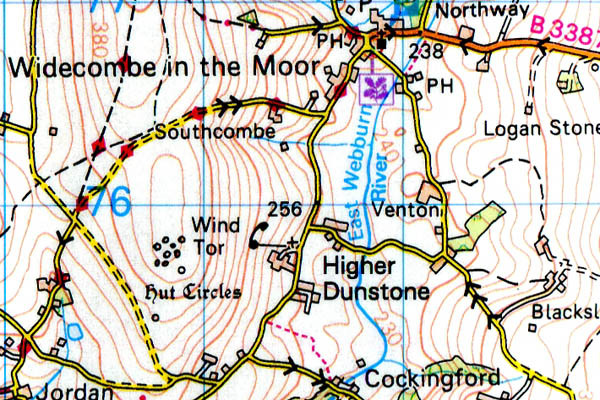 The grid reference SX 542786 is provided for the 468m spot height at the centre of the Iron Age fort. The tor itself is a long ridge-like jumble of shattered rock which extends for two hundred metres. The Iron Age fort at it’s summit took advantage of this natural rock formation. 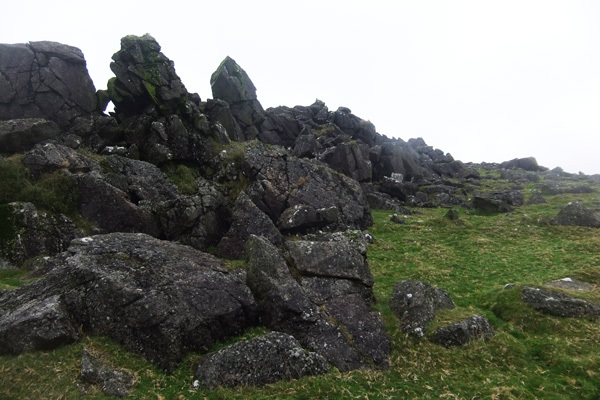 The rock type does not appear to be granite, as it has not weathered in the same manner to other Dartmoor tors. Investigation into the rock type suggests Green Stone which is a metamorphic rock may be the best match at this time. Wild Tor – Grid ref: SX 623876 – Height 531m a.s.l. 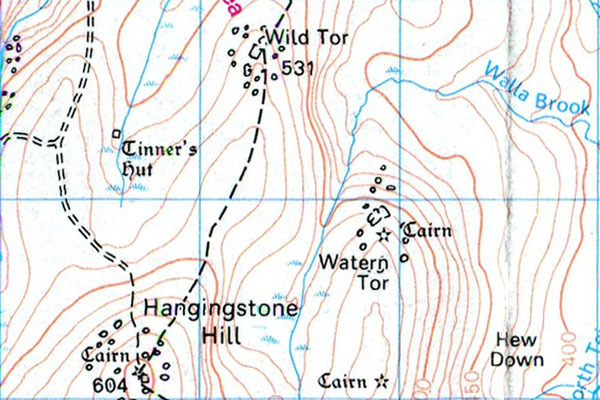 Wild Tor is not quite a summit, It sits along a north-south trending spur of Hangingstone Hill. 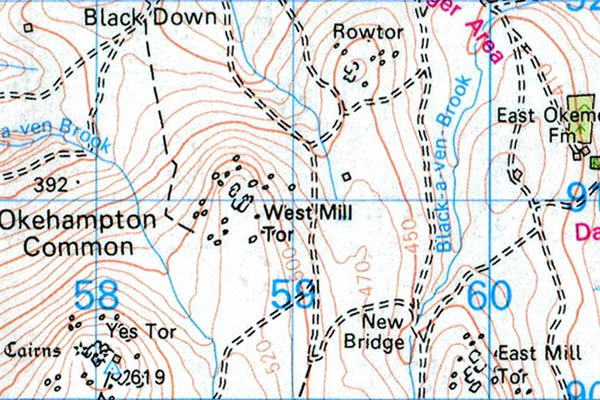 Wind Tor – Grid ref: SX 707758 Height: 375m a.s.l. Wind Tor sits along the Two Moors Way in a rather accessible piece of moor to the north east of Dartmoor, near Widdecombe in the Moor CP. Winter Tor – Grid ref: SX 609915 – Height 427m a.s.l. Winter Tor is located in the north east of Dartmoor, on the slopes of Higher Tor on Belstone Common. The height of this tor is provided as the nearest contour however it is likely to be higher than 420m. I have recently and reliably been advised that measurements of this tor actually confirm it to be 427m a.s.l.